While search and retrieval technologies are everywhere, paradoxically access to contextually -relevant information and knowledge is not. Hence existing knowledge is not properly leveraged and business is suboptimal. Organizations don’t know what they know – and don’t use what they know very well. This lack of access and relevance carries huge economic consequences: lack of relevance to customer needs, lower sales conversions, customer satisfaction, lower quality service, customer churn, suboptimal products and services, costs associated with reinventing the wheel, etc. Extracting this knowledge presents a challenge for many organizations though, as it is housed in systems inside and outside the firewall, and, more importantly, in the minds and experiences of their employees and experts outside the firm. Data must be organized into information and transformed into knowledge, often with the help of contextually- relevant experts who must also be found, before it can be interpreted by humans into actionable insight for strategic decision-making. Ultimately, knowledge has no value to users unless it is in context. The need to be relevant is more important than ever – and the inability to deliver and obtain the most relevant knowledge negatively affects business. Sales, service, online transactions and operations all depend on relevant information, because in a customer-centric world, customers are more demanding, empowered and knowledgeable than ever. Customers expect companies to return with speed and relevance, knowing their history, issues and having an immediate solution. Organizations often treat knowledge as a transferable commodity that can all be stored in a system of record, retrieved and used mechanically. Companies are realizing that they cannot execute on the vision that knowledge is a transferable commodity, predominantly because knowledge is not just information. Knowledge is a form of competence or human ability to take action. Searching and retrieving information from a central source does not deliver actionable insight. With the crowded chaos of applications, databases and online resources, the data sources where knowledge is extracted also provide opportunities for knowledge to be lost. IT has traditionally handled this problem through integration, but i – that has been a very complicated, time-consuming and an expensive task. In a fragmented and heterogeneous environment, enterprises should resist the temptation to migrate data to a central system. The more data moves around, the more complicated it becomes to find again. And we’ve all learned from experience that systems of record never don’t really contain the “only” record. Fragments of data simply proliferate outside the system of record – different processes, point solutions, employee-activated cloud solutions, the list growsetc. Unfortunately, employees end up using incomplete or wrong information, or simply re-inventing the wheel. Often times, transactions stall or fail due to knowledge gaps. 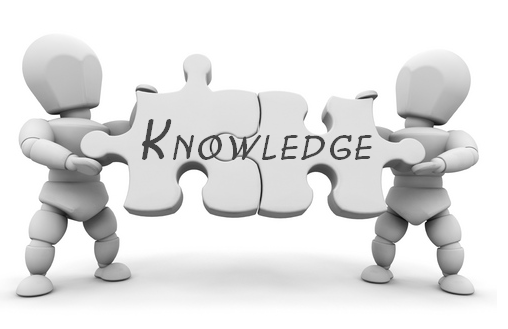 Anyone in business would agree that knowledge is a highly valuable asset for most organizations. Yet, like any other asset, that collective knowledge will only generate returns to the extent that it is re-utilized, often by employees and customers to take higher-value business actions. Otherwise the asset only sits there, latent and untapped. Because knowledge is what keeps organizations competitive, it is imperative for it to be accessed and shared across teams and geographies. Knowledge is useless sitting in repositories where no one even knows it exists; it is only valuable and can see deliver a return when it is accessible and reused as often as possible, and relevant to the dynamic context at- hand.